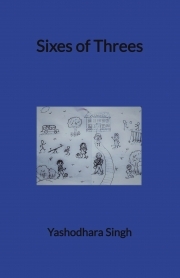 Description of "Sixes of Threes"
This book is a tale of a handful of school children, who live their school lives to the fullest. Set in the small city of Agra, the land of the Taj Mahal, Sixes of Threes is a story about six groups who learn a thing or two about life and teach their peers as they grow. Yashodhara Singh has authored over a dozen novels ranging from philosophy to romance to children's books. Her books hold stories with meaning and matter, irrespective of the kind. Each story has a nerve that touches the reader on some level. All of her books are about ordinary folk who are unique and extraordinary in their own way. Reviews of "Sixes of Threes"